I got an interesting and valuable letter not long ago that I thought I would share with you fine folks in place of my column this week. I’ll be adding comments along the way, so it serves the same purpose. “I am writing to draw your attention to an issue that I think is important and I shall be grateful if you publish this letter in the column of your widely read newspaper,” the author begins. 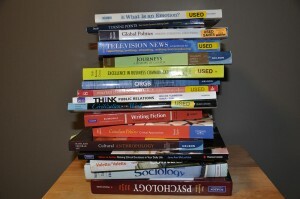 “This issue has to do with the high cost of textbooks in the higher citadel of learning. I want the Ministry of Advanced Education and school authorities to look into this issue. The author then goes on to talk about the publishing industry itself (the monopoly that a few publishers have over textbook production and distribution) as well as the increasing desire on booksellers to make profit off the backs of students, and cites these as more causes of the final prices being unreasonable. I agree with all of this. I found this to be an interesting dimension of the typical “textbooks are too expensive” discussion. 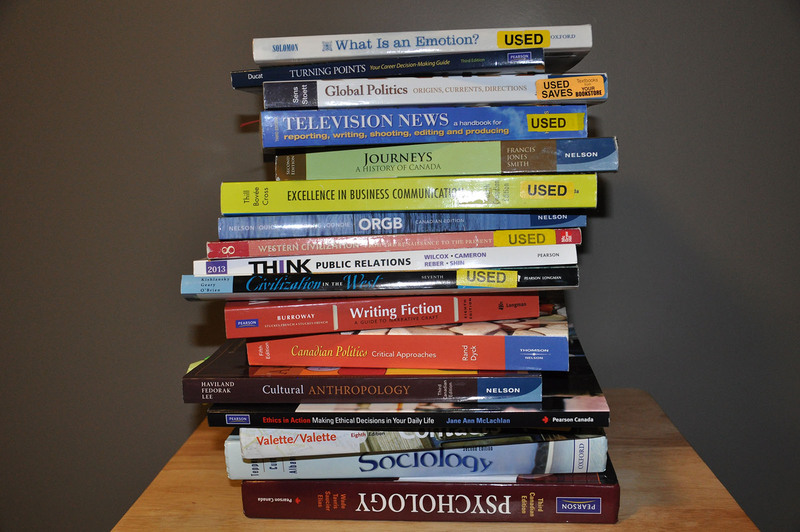 It is a very real possibility that textbook expense could be a contributing factor in cases of academic dishonesty. After all, if you don’t have the textbooks, cheating is one of a few options available to you – or at least it can be seen that way. The author suggests that students take advantage of reselling their textbooks once they’re done with them, as many suggest, but I personally don’t think this will help the situation much, as the major complaint about this approach is the little amount garnered upon resale. After all, there’s probably a new edition of that book coming out any day that will be required reading for the next class through the program. It doesn’t help with the overall cost if that $153 textbook they were talking about earlier earns them $25 upon returning it for the next person to purchase for $110. Their suggestion of sharing textbooks amongst classmates is better, but what about for courses where students need to reference directly, during class time, the content of the book? It’s just not feasible for five or six students to crowd around one book during a lecture. I like the author’s suggestion that “school authorities should provide at least twenty five per cent of the textbooks for each course in the library,” (though I would personally like to see a higher number than that – somewhere in the 100 per cent neighbourhood) and that, “the school should encourage all instructors to use Moodle resources in all courses.” The more resources faculty make easily accessible at little or no cost, the more students will have the opportunity to engage with that material, and isn’t that the goal? While I agree that it would be good for government to have some role in the policy discussion, I think it’s more in the hands of the instructors themselves. If a book’s new edition doesn’t contain significantly more information in it, why not continue to use the older edition – and place one in the library that people can use there? Why not find selected articles and readings that are free to put on the class’ Moodle page whenever possible rather than relying on expensive books that students need to purchase? What are your solutions? What do you think the major contributing factors are here, and what have you found works in terms of saving on textbook expense? Thanks to Mercy Williams, the author of the above letter, for keeping the discussion going. Now it’s up to the rest of us to continue it.